1. Go for a long angle. Have the photographer position their body to the side of the subject so you can get a long depth of field. This is MUCH more interesting than shooting your subject straight on a flat wall. See the nice bokeh effect (aka blurry background) it creates with the trees and lights? 2. 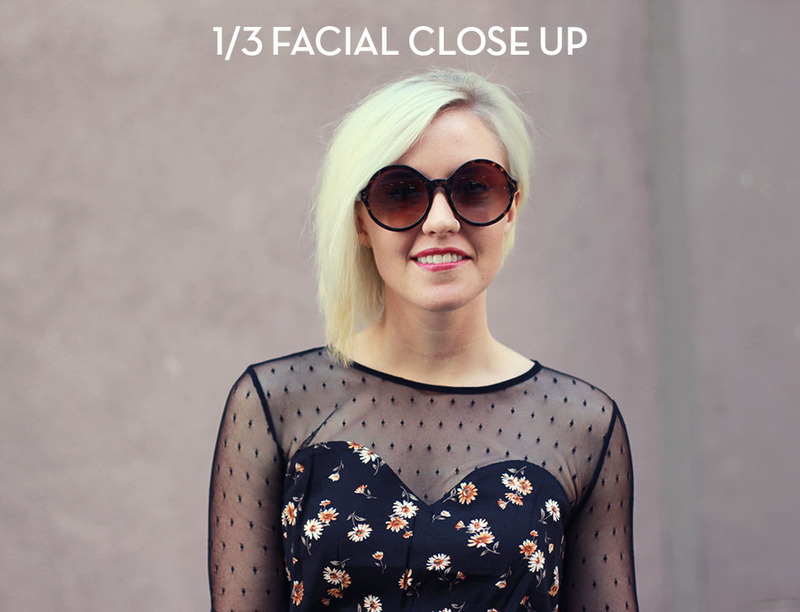 1/3 facial close up: A great way to show case accessories like sunglasses, necklace, earrings, lip color and make up is to shoot from right below the bust. 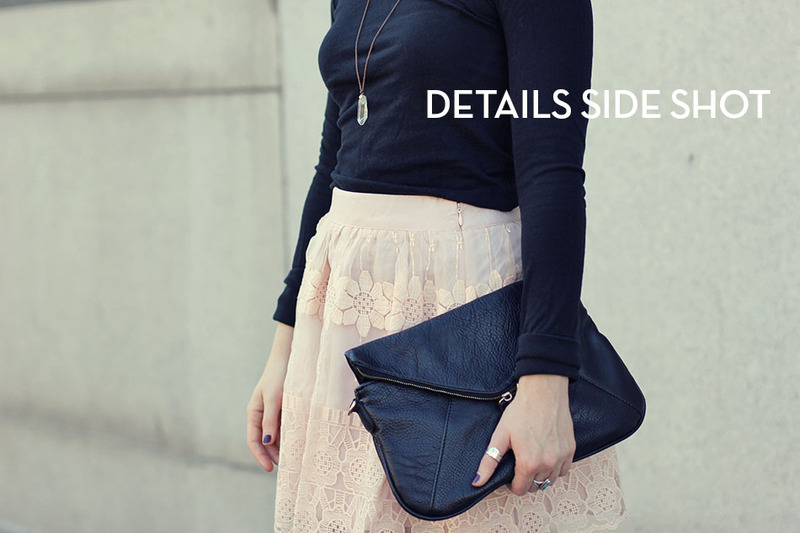 I love seeing the details in fashion photos. If you’re only including full body photos you may want to consider getting closer for a few shots. I wouldn’t hold the camera vertically for these, go horizontally. 3. Candid shot: Sometimes the in-between shots look the most natural. No body likes photos that are too “pose’y”. I say shoot more than less photos. You’re going to want more to choose from. I tell my photographs to keep snapping the whole shoot. Often the pose you want is the one you accidentally create in-between poses. 4. Shoot low. Why? Because the ceiling or sky is often more exciting than the ground. And you will look taller. Have your photographer squat down or get on one knee. In this case we would have missed the art deco detailing on the ceiling had the photographer not adjusted the height of their holding at the camera at. Crop tightly too, the less floor the better. 5. Half Body Crop: I stated above I like a 1/3 body shot, I also suggest a half body crop. This works best when holding the camera horizontally. If you’re wanting to highlight a belt or a patterned top this is the way to go. I don’t love shooting against a boring wall but if you’re only opportunity to shoot is during the daytime you’re going to want to take advantage of the shade of a tall building. If you’re lucky enough to shoot 1-2 hours before sunset get out in the open. Refer to step 1. 6. Details side shot. This type of shot works best when the photographer bends over a little bit. I don’t suggest squatting for this but think more of a slight knee bend. It’s best to stand to the side of the subject to get that depth of field going. –the flow of your post is important too. If you put 4 full body shots in a row, it gets repetitive for the reader. Switch it up, do a close up followed by a full body. –It’s ok to post less photos of your outfit. Unless the shots you got were significantly different than I would suggest 4-6 pictures total. P.S. I shoot with a canon 60D, 50mm lens 1.4F. I use Photoshop CC 2014 for post camera editing. At minimum I adjust photo levels and apply a standard filter or action. With the right equipment and eye you can dramatically increase the beauty in your photos with these few subtle changes. Have additional questions? Leave me a comment, I’d be happy to do a follow up post. Awesome tips!!! Thanks for taking the time to share them! Great post! Love the photos and your tips! Great ideas. I noticed that your photos have really improved from these techniques. These are fantastic tips!! Love it! Thank you! Love the tips! 🙂 Thanks! Your photos are always gorgeous, so I just assumed you had the same photographer along the way. These are tips I will be keeping in mind. I’d love to learn more about getting a good blurry background. Is that something you achieve with a Gaussian Blur and a mask in Photoshop, or is it partially the camera too?